Description Unit 2014. E8. Frisco. 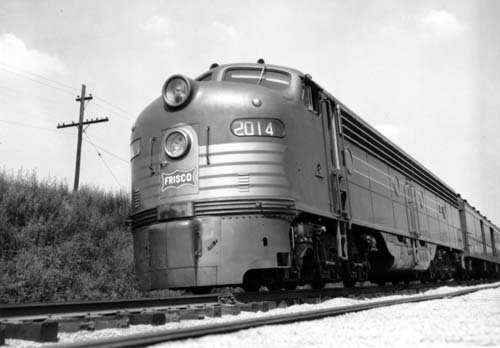 Built 1950 by EMD. 2250 HP. 2 engines. 1125 HP each. Type 567B. 3/4 exterior view.